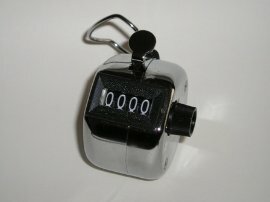 Counts from 0 to 9999. Push the button for each run scored. Designed to fit in the palm of your hand with attached finger ring.